If you or a loved one has an outstanding arrest warrant anywhere in the state of Maryland, you have options! There is no reason to live in fear of the day that the police show up at your home or place of work. Benjamin Herbst has represented hundreds of defendants with outstanding warrants, and will explore every possible way to keep you out of jail. It is simply too risky to sit back and wait for the police to come after you. Nowadays, most police departments have their own fugitive apprehension teams, and the officers chosen for these teams have a reputation for being aggressive. Many are ex-military and have tactical combat experience as well. And when you combine an aggressive nature to the number of recent officer shootings its easy to see why serving a warrant can be such a dangerous situation. Just recently, in August of 2013, a Baltimore County Police officer was shot and killed as he and his fellow officers served a search warrant on a home in Catonsville. The team was also prepared to serve an active arrest warrant on a 16 year old who was a suspect in a shooting. As the officers where moving throughout the house a person not related to either warrant began shooting, and officers returned fire. Both the shooter and one officer were killed. 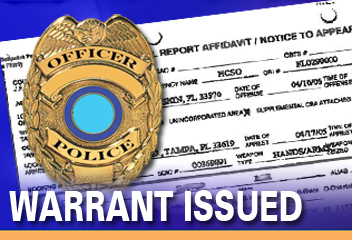 As you can see, serving search warrants and arrest warrants can be a danger to anyone in the area. Tensions are high and simply put; everyone is at risk of being in the line of fire. This can all be prevented though by contacting an experienced criminal lawyer. In many cases we can file a motion to withdraw the outstanding warrant. If the judge grants the motion we can set a court date, and jail can be avoided all together. Even if you have missed a court date and have had an outstanding bench warrant for weeks, months, or even years, we can help. And, even if you have already tried unsuccessfully to file a pro se motion, we can still file our own motion to quash your warrant. In the past, Benjamin Herbst has successfully filed motions to withdraw warrants in cases including traffic violations, drug offenses, and even felonies. There is simply no reason to wait for police to find you or a loved one. Outstanding arrest warrants do not simply disappear after a certain amount of time, no matter how minor your case may be. Even a traffic violation or minor drug possession arrest warrant will stay in the system forever. While a fugitive apprehension team, or the United States Marshals may not go out of their way to personally serve warrants on these types of cases it is not out of the question that they do show up at your home or place of work. In addition, anyone stopped on a traffic violation or involved in an auto accident will be subject to a warrant search by police officer on the scene. This is true even if the police contact occurs out of state. Do not take the risk of being arrested at an inopportune time, and call our firm today for a free consultation.